I have said it before: dystopian stories are having a moment. And I am hugely susceptible to their wiles. When TLC Book Tours approached me about reviewing the first two books in G. Michael Hopf's New World Series, how could I say no? My head knows that most dystopian books turn out to be a disappointment (thanks to the flooding of the market), but my heart cannot resist. In each new series, I see a potential next Hunger Games. And each new author is hoping I see the same thing. 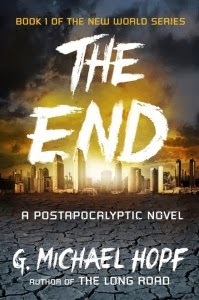 Hopf's series differs significantly from the Young Adult style to which most dystopian novels adhere. A former marine, Hopf's passion for his subject bleeds through the pages. His goal is to create awareness through entertainment. The books are set in the very near future. Gordon, a former Marine, lives with his family in San Diego when an EMP attack renders the United States without any form of electronics. Gordon's brother and active Marine Sebastian is serving in Afghanistan. What follows is a high-action drama surrounding the two brothers as they try to survive in the new world. For the most part, I found the scenarios Hopf presented to be extremely plausible. An EMP attack is a very realistic way for America to be taken down and the pandemonium that would follow is nearly unimaginable. On the second and fourth Monday of every month, I feature Movie Monday. I recognize that few people have the time or desire to read the amount I do, especially when it comes to the 100 Best Novels list. Luckily, Hollywood loves adapting a classic and I love a good movie almost as much as a good book. Happy Monday, everyone! I hope you had a great weekend and stayed very warm. Here in the Midwest, things are completely out of control cold. I'm hating it. I just do not handle winter well. It's the perfect weather to cuddle up with a cup of tea and a good book - or a good movie for that matter. 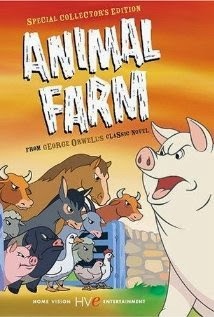 Back in October, I read George Orwell's classic Animal Farm for the first time ever. You can go read the post about it refresh yourself on all my thoughts. In summary, though, I loved it. It's a classic for a reason. When I picked up the 1954 film adaptation, I had high hopes. The animated movie, unfortunately, did not live up to those expectations. As you all know, I have tremendously enjoyed getting involved with the book tour world. It has brought such variety to my reading, something for which I am very grateful. It also has brought some wonderful books into my life. Today is another first experience, albeit one in the same vein. A few weeks ago, I was contacted by one of you about reading and reviewing a new book. I happily agreed and am so glad I did. Thanks, Lauren, for approaching me. I hope you are the first of many to do so! 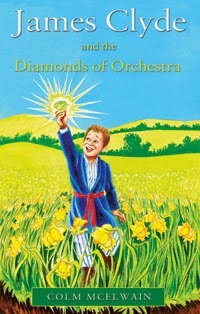 The book, James Clyde and the Diamonds of Orchestra, falls slightly out of the typical for Read.Write.Repeat. While I suppose it could be classified as young adult, it really is geared toward a slightly younger age. Since I'm constantly saying that there is something for everyone here, I figured it was worth the diversion. James Clyde is a delightful middle age book. I think it would be especially appropriate for young boys. Maybe a great option for those who don't love reading and need just the right thing to entice them? The book had a charming, youthful feel. It felt like a mix of Narnia, Harry Potter, and Eragon. Young orphan boy discovers his past is not at all what he thought it was when he is transported to another world with two friends. While it is a pretty typical formula for this type of thing, the setting and characters were fresh. I am so so excited to be starting a mini series today! Let's be honest - how many of you got excited just when you saw the title of the this post? When I met my dear, sweet husband, there were a few holes in his pop culture knowledge. For one, he had never seen the show LOST. Tragic. We starting watching through it together soon after we started dating and finished it up right after we got engaged. I told him I wouldn't marry him until he'd seen it all. We've also watched through all of The West Wing together. Before we met he only read for pleasure very occasionally. He's come a long way in that area for sure. No one can say my cultural education for him isn't also actually educational. One particular glaring gap that needed immediate attention was his Harry Potter virginity. He not only had never read the books (no surprise there), he had never seen the movies. When I realized this, my attempts to turn him into an avid reader were still in their infancy. I had no hope of convincing him to read the books; I had to settle for the movies at that point. Being the wonderful sport that my husband is, he consented and we watched all eight movies within a few weeks. Since then, we've watched 4-8 again. He's not a huge fan of the earlier ones just because they still have a pretty "kid movie" feel to them. Ok, ok. I swear this introduction is about over. The rest of the story basically boils down to this: over the holiday season, I convinced him that we should listen to the audio books together. You all know that we're big fans of audio books for when we are traveling. I have been feeling the itch to read through the classic series again for a few months now (it's been over six years for me!) and really wanted to enjoy the experience with Kevin. Before we dive into Movie Monday, I wanted to quickly announce the winner of the My Mother's Funeral giveaway! Congrats to Jamie! You'll have to let us all know what you think of the book after you read it! On the second and fourth Monday of every month, I feature Movie Monday. I recognize that few people have the time or desire to read the amount that I do, especially when it comes to the 100 Best Novels list. Luckily, Hollywood loves adapting a classic and I love a good movie almost as much as a good book. It seems like ages since I read The Prime of Miss Jean Brodie by Muriel Spark. I finished it at the end of August, which may as well be a lifetime ago. The classic novel did not do much to impress. Yes, it was good, but it never captured me the way some books do. 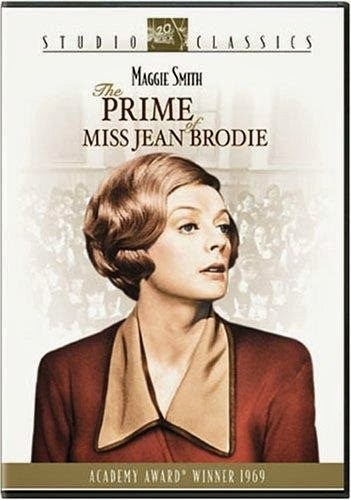 Thankfully for the movie version, I am head over heels in love with Dame Maggie Smith. The Dowager Countess/Professor McGonagall ranks as one of my all time favorite actresses. If she, Meryl Streep, Julia Roberts, and Jennifer Lawrence would just make a movie together, I could die happy. As with nearly everything Dame Smith does, she is golden. Actually, she literally is in this movie. It is, I believe, the only role I've ever seen her play with blonde hair. It's also the earliest work of hers that I have seen. Physically, she appears quite different than she does in her recent roles, but her on-screen spark and talent apparently arrived early in life and are everlasting. In an ideal world, I would post about a book from the 100 Best Novels list every Thursday this year. I mean, after today I already have two of the 52 taken care of, right? I think I'll keep aiming for two per month. After all, you I just finished telling you how crazy my life is about to get. Today's book actually is a holdover from 2013. There are still a couple of those floating about. The Heart of the Matter by Graham Greene falls in as the very last representative of the Modern Library list from last year. Greene set the story on the West Coast of Africa during WWII. He based much of it on experiences he had while stationed in Sierra Leone. In the book, Major Henry Scobie manages local law enforcement, including the mission to catch diamond smugglers. His wife, Louise, lives as a bit of an outsider from the other Brits in the area. She eventually convinces Scobie to allow her to live in South Africa for a time. Her absence creates the unexpected opportunity for the highly moral Scobie to fall into adultery. Today marks new territory for me! 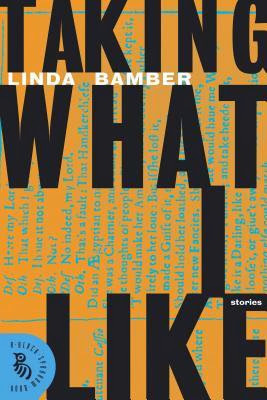 Taking What I Like by Linda Bamber might be the first book of short stories I have ever read - at least in my adult life. It seems crazy, I know, but I have always been drawn to full length novels. 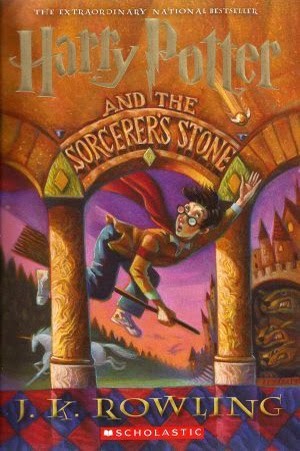 Being the sucker for character development that I am, short stories sometimes irritate me; they leave me wanting more information on the characters' journeys. That being said, when I received the opportunity to read Bamber's collection, I hesitated initially. The concept interested me, but I wasn't sure I could overcome my indifference to the medium. In the end, I obviously decided to give it a try. I figured it was about time I gave short stories a real chance. Taking What I Like was initially described to me as "eight short stories that playfully respond to and reinterpret classics." As you know, I am all about the classics lately. Bamber's stories focus mainly on Shakespeare, although she swings briefly by Charlotte Bronte's Jane Eyre and also the artist Thomas Eakins. 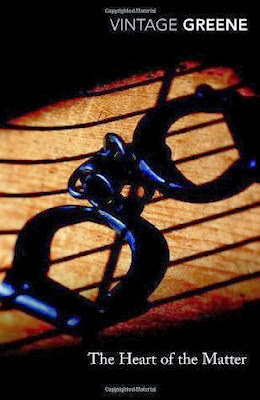 Some stories focus on characters of Bamber's own creation. In my favorite story, perhaps because I can relate to is so well, a college professor laments teaching Jane Eyre to yet another cohort of students. In another, an actress works issues while playing Henry IV. Bamber spends a great deal of time representing Shakespeare characters. Some stories and unique retellings of Shakespeare's plays. Others place his characters into new situations. For instance, the opening story finds the cast of Othello serving as the English department of a northeastern college. It's no secret how much I love working with TLC Book Tours. I had great success with the books I read through them in 2013. I am excited to be kicking off 2014 with a packed scheduled of tours. 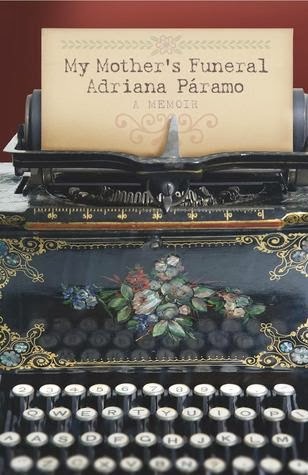 When I saw Adriana Páramo's memoir on the list of tour options, I immediately felt a connection to the book. Páramo's mother battled Alzheimer's before her death, a disease which runs in my family and will likely plague my own mother one day. Additionally, the book landed in my hands just after my grandmother passed away. The timing made the book much more personal to me. Every woman has stories to tell about her mother. The mother that she remembers, the mother she wishes she’d had, the mother she doesn't want to become, and then eventually, the mother she buries. Every immigrant woman has stories to tell about her homeland. My Mother’s Funeral is a combination of both: Mother and Homeland. The book circles around the death of Páramo’s mother but the landscape that emerges is not only one of personal loss and pain, but also of innocence, humor, violence and love. Drawing heavily upon her childhood experiences and Colombian heritage, the author describes the volatile bond linking mothers and daughters in a culture largely unknown to Americans. The book moves between past (Colombia in the 1940’s) and present lives (USA in 2006), and maps landscapes both geographical (Bogotá, Medellín, Anchorage) as well as psychological, ultimately revealing the indomitable spirit of the women in her family, especially her mother from whom the reader learns what it means to be a woman in Colombia. My Mother’s Funeral describes four Colombian generations of women who struggle, love, sing and die in a country of mysterious beauty as much as it charts the daunting and transforming process of the mother’s funeral and its unexpected byproduct: the re-acquaintance with a long lost brother, the women in the family, and with them, the whole culture. There has been quite a lot of looking back at 2013 around here lately. I listed the Top Books of the year and posted a review of the year as a whole. Today, though, it's time to start looking forward! There will probably be less book reviews. Ugh. I know. This one is the worst, so I figured I should get it out of the way up front. This is not at all because I want to cut back on reading. I don't! I want to increase! I am, however, starting grad school on January 13. Between that, my full time office job, my part-time adjunct professor job, my new part-time tutoring job, and my general desire to have a life and be a good wife, I am anticipating some cut backs in the quantity of books read. That being said, I want to work even hard to increase the quality of books read. I will be continuing with the 100 Best Novels challenge. You can hopefully still expect about two of those books per month. On top of that, I want to use the limited reading time I have to really focus on great work. I am going to be doing my best to avoid duds this year. I know they are unavoidable to a certain extent, but I'll do my best! Movie Monday will continue. These bimonthly posts have been fun. I hope you are enjoying them, too. If you have any requests, let me know. I really hope to have more reader involvement. I know I have some great readers out there and I want to hear from you more! I hope to have more giveaways and opportunities for interaction. Most of all, I want to hear from you about what you want to see at Read.Write.Repeat. Speaking of readers, I want to increase readership. I have a few ideas about how to do this, but my general goal is to double readership in the next year. I think it's a totally possible goal, if I work at it. All I need is one viral post, right? Haha. There will definitely be more book tours. In fact, you can expect the first one of the year on Monday. I've found this is such a great way to get exposure to new authors. I would like to organize some sort of group reading program. I want us all to either read through something together or do like a summer reading program together. What do you think? What kind of program would you participate in? Everything will continue to be about books! You will never have to worry about this turning into a personal blog. Kevin and I have a separate blog for that (one I'm horrible at updating). Read.Write.Repeat. will always, always be a blog for readers. I promise. What do you want to see here in the next year? I'm eager to hear your opinions and ideas. 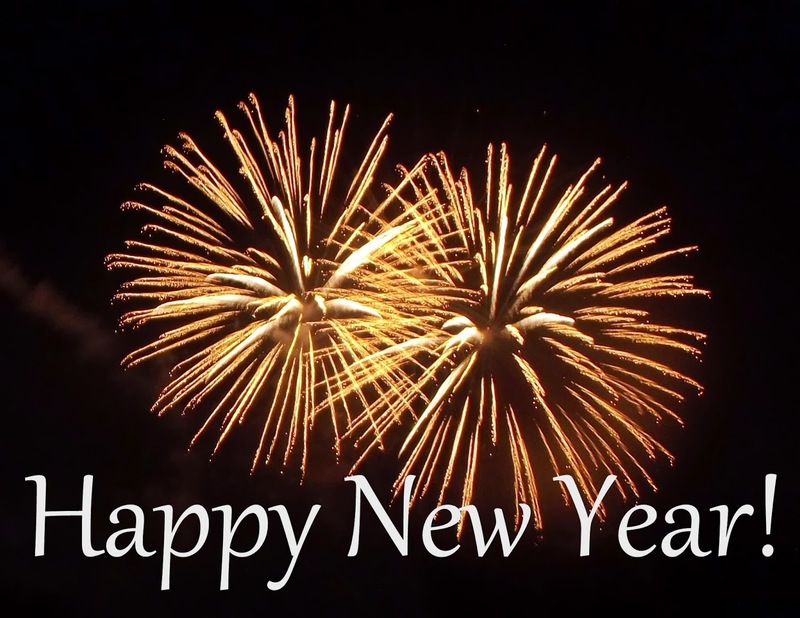 Let's make 2014 the best year yet! Even though this book technically falls on my 2013 list, I am thrilled to offer it at as the first review of 2014. 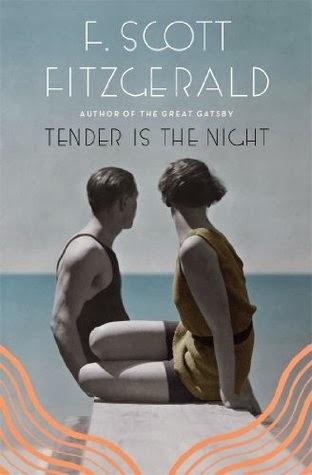 If you stopped by earlier this week, you know that this F.Scott Fitzgerald novel ranked as my favorite read in the month of December. As I mentioned in the December Chapter post, Fitzgerald has captured my heart this year. I mean...last year...dang it. His stories capture the reader while his way with words makes the stories magical. I read The Great Gatsby this summer as a part of the 100 Best Novels challenge. It left a far greater impression this time around than it did my sophomore year of high school. This secondary exposure to Fitzgerald left me eager for more. With only one other novel of his on the Modern Library list, I was pleased when I ran across Tender is the Night at the library. 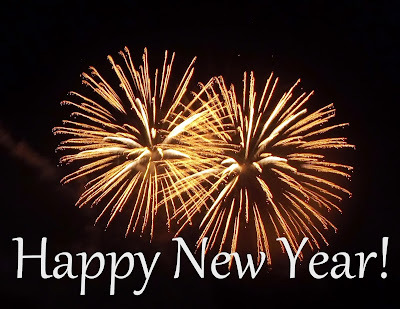 Can you believe 2014 is here? It went so quickly! The blog named changed from From My Bookshelf to Read.Write.Repeat. Blog readership grew tremendously. In 2012, I was lucky to get a handful of pageviews on any given day. Now, I average over 50 pageviews daily. I'd like to at least double that by the end of 2014, if not more! I joined Goodreads! This wonderful social media site for readers has revolutionized the way I keep track of books and how I choose what to read. I started a new long-term challenge. Reading through Modern Library's 100 Best Novel list has already been so rewarding. Plus, I have made it 17% of the way through the list. Not bad! I did a Summer Reading Program through Tyndale. It definitely broke my mold this summer and I picked up some interesting books I never would have read otherwise. In August, I started writing monthly "chapters" recapping blog activity. It's been fun to catalog things regularly, as well as keep my eyes open for fun articles I think you may enjoy. I launched the Read.Write.Repeat. Facebook page this fall. If you don't like it already, head over there and join the 170+ others who have! One of the biggest changes this year came when I started joining book tours through promotional companies. I have absolutely loved participating in these. You can look forward to a lot more of these in 2014. I started Movie Mondays. These have been fun and twice a month seems to be a good pace.